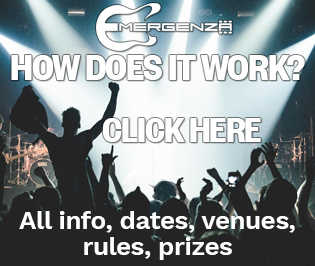 Emergenza The festival for unsigned bands wanting more! Ready to play in the best clubs and venues in the U.S.? For the first time after 23 years, an Italian band on top! Solar energy and candid flippancy! The love and joy of CapeVerdean music! Straight forward riff driven kickass metal with great attitude!